This Yuengling tray from the 1940s is probably one of the most well-known trays around. There are quite a few of these trays bouncing around but the great imagery and the fact that it is from the oldest brewery in America helps its value. 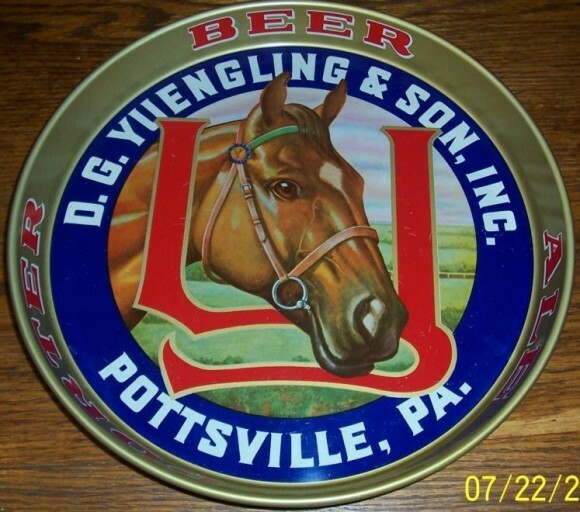 Known as the Yuengling Pony this 12″ round tray was produced by the American Can Co. and examples in great condition can bring solid prices from collectors looking to upgrade to a nicer tray.